What better way to start a new year than with a management thinker who showed us how to perform better in all walks of life: Timothy Gallwey, founder of the Inner Game. A Happy New Year to all of our readers. 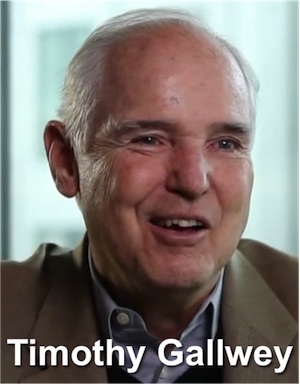 Timothy Gallwey is best known for his Inner Game books about tennis and golf. They transformed the approach of a million weekend sports enthusiasts. But these were no limp self-help manuals. They were equally lauded by sports performers at the pinnacle of their sports internationally. And they remain so today. And it was not just sports people who found power in Gallwey’s advice. Quickly, business seized his ideas and called on Gallwey to show them how to play the inner game of work. In so doing, Gallwey became the progenitor of business coaching, and therefore of executive coaching and its domestic relative, life coaching. Timothy Gallwey was born in 1938,in San Francisco. He attended Harvard Business School, majoring in English Literature. But his academic work sat alongside his tennis playing and in 1968, he was captain of the Harvard tennis team. His direction remained academic until 1971, when he took a sabbatical, during which he acted as a tennis coach. It was on the court that he started to realise how impoverished were the traditional approaches he was using. Telling the sports person what to do would distract them from all else. And it would introduce new anxieties to their play. Gallwey started experimenting with new ways improve tennis performance. Instead of telling a player to watch the ball, he asked them to vocalise sounds at the moments when the ball struck the ground or the racket. Of course, this required them to watch the ball too. Later, he shifted his instruction to noticing where the ball landed,or where it struck the racket face. Gradually, Gallwey developed the principles he still teaches, as do many coaches the world over*. During the early 1970s, Gallwey also learned meditation, which he suggests improved his game and influenced his thinking. That thinking came together in what was to become a million selling book, The Inner Game of Tennis (1974). It remains a best seller today. This was followed by Inner Skiing (1977), The Inner Game of Golf (1981), and The Inner Game of Music (1986). But it was not to be long before weekend tennis players and golfers in the upper ranks of business started to wonder if Gallwey’s coaching principles could apply to the workplace. By the late 1970s, he was a much in demand speaker and through the 1980s, he spent more time advising business on using inner game principles to boost management performance. Also in the 1980s, Inner Game coaching was in full flow in the UK. There, Inner Game sports coaches like Graham Alexander, Alan Fine, and Sir John Whitmore started to see the wider application of the principles too. They articulated what is perhaps the best known management coaching model, the GROW model, and took their sports experience into business* too. It was not until 1999 that Gallwey relieved business people of the need to read about tennis or golf, to gain business performance insights. The Inner Game of Work took inner game principles and all Gallwey had learned from his consulting experience, and consolidated it into a marvellous book. Gallwey’s big idea is this. When we are focused on achieving something that is important to us, there is a constant dialogue in our head. And, motivated by self doubt and fear of failure, one part of our mind provides a constant and undermining commentary. It issues instructions and deals out rebukes. It warns and it threatens. It praises (rarely) and chastises us for our failings. If this all sounds familiar, compare it to today’s psychological concept of System 1 and System 2, popularised so powerfully by Daniel Kahneman in his wonderful book, Thinking: Fast and Slow. Consequently, the Inner Game is all about removing that interference from Self 1, and allowing our performance to rise to the level of our potential. Gallwey’s solution is simple and (I can say from experience) highly effective. If we can focus you awareness on what is happening, that focus will still Self 1’s voice long enough for Self 2 to gain insights into how to modify our behaviour. Gallwey calls non-judgmental observation and the role of a coach is not to tell you what to do, but to direct your attention. 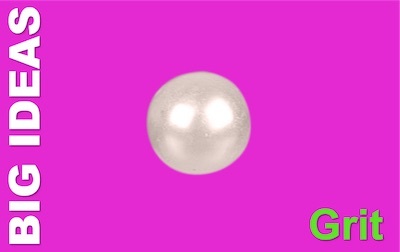 This directed focus allows Self 2 to learn, and Self 1 to think it is occupied with the noticing. Gallwey’s insight is to transform coaching to a process that centres on awareness raising. The skill of a coach is first, to direct attention to the most pertinent events, and second to reinforce Self 2 in its quest to act on what you learn. The R of the GROW Model is Reality. Giving you enough time to fully understand what is going on is the single most valuable role of a coach. And when you have articulated your Options, a good coach will cycle back to Reality, to help you test those options out. Gallwey does not use the GROW model explicitly. It isn’t his model. But it grew from his thinking. And, while we are on Gallwey’s legacy, let’s cycle back to his experience of the early 1970s – he learned to meditate. And I am convinced that this impacted on his practice by placing awareness at the centre of his approach to coaching. Let’s just remember what the flavour of the year was two or three years ago, in the world of personal development: mindfulness. Emerging from meditative practices, what is mindfulness all about? Focused awareness. * Including me. I was privileged to be taught coaching by Sir John Whitmore and David Hemmery and to have attended a masterclass and an informal dinner with Timothy Gallwey. 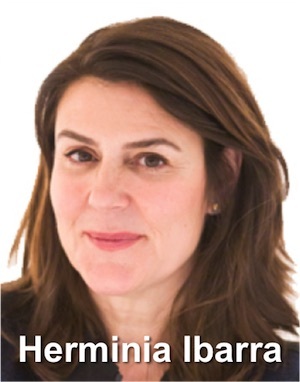 Herminia Ibarra is ranked by Thinkers50 as one of the world’s top-ranked management thinkers- at number 8 in 2015, since you asked. Her interests are professional and leadership development, gender, and how we can adopt a DIY (do it yourself) approach to making a step up in our careers. Herminia Ibarra was born in Cuba*, and moved to the United States as a child. She graduated from the University of Miami with a BA in Psychology. She was a teaching fellow at Yale from 1985-1989 and was awarded her masters in Organizational Behaviour, and then her PhD, in 1989. From there she joined the faculty of Harvard Business School, where she remained until 2002, when she accepted a chair at INSEAD. She is currently Professor of Organisational Behaviour and The Cora Chaired Professor of Leadership and Learning. 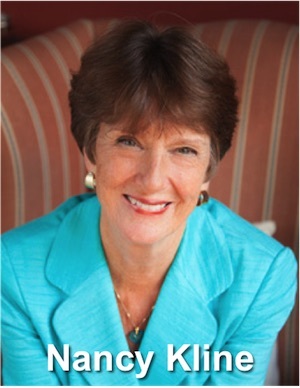 In 2003, she wrote Working Identity: Unconventional Strategies for Reinventing Your Career. This is a book of case studies of how people made significant changes in their careers. While working on it, she came to realise that often people stay stuck in a job because they don’t know what to do next. Reflection and analysis fail to help them figure out what next. What makes the difference for many of her case studies is the impact of outside activities or initiatives with which they get involved, outside of the normal run of their work. This led Ibarra to the ideas in her latest book, Act Like a Leader, Think Like a Leader, which we’ll discuss. Conventional wisdom has it that we should think then act. But in studying career changers, Ibarra started to take an interest in managers who are increasingly expected to act as leaders, but who don’t get promotions or formal job moves that create the opportunity for this transition. With changed expectations, but the same role, these managers must find their own way – a ‘Do It Yourself’ approach. Ibarra argues that they need to change what they do, who they connect with, and how they think of themselves. And the first step is to do things differently. Ibarra has coined the term ‘outsight’. In contrast with insight, outsight is the external perspective we get when we take on fresh and new experiences. New and different activities change us, and Ibarra advocates experimentation and experience as the route to change: what I call ‘trial and learning’. We can get this opportunity to be different and try different things from the side activities we engage in within and outside work. Many of the people she studied for her first book had career changes triggered by these kinds of projects, initiatives, and task force roles. 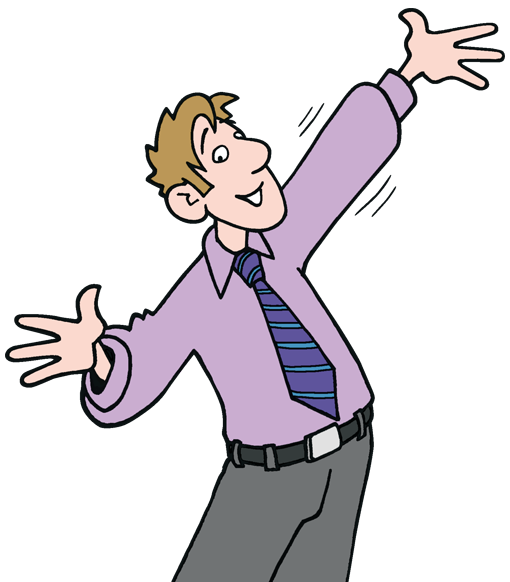 By looking for these, a manager can try out new ways of acting – and then reflect on them. This ‘act-first’ approach seems to me to be a positive one for making changes, and chimes nicely with Amy Cuddy’s injunction to ‘fake it ’til you become it’. * I am going to ignore the date of birth given by Wikipedia – her CV says she graduated in 1982 (although this may be the date she started her undergraduate studies). If her Wikipedia birth date is correct, then she graduated at age 12 – or at the latest, 3 years later! Usually the brain that contains the problem also contains the solution – often the best one. 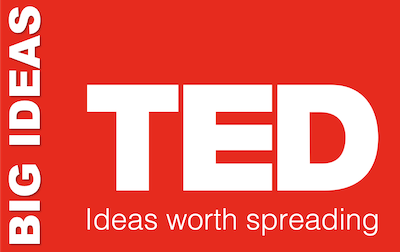 Her contribution is to formalise a set of criteria for what she calls (and has trademarked as) a Thinking Environment. These ten conditions at once make sense: they are both obvious and insightful. There is not a lot of information around on Kline, save that she was born in New Mexico and served on the faculty of a Quaker School in Virginia, where she and her first husband set up a satellite institution in 1972. It was there that she started to think deeply about how to create the space to think. She went on, after twelve years, to be a director at the rightwing Leadership Institute. In 1990, she married her second husband, Christopher Spence, and moved to the UK. Shortly afterwards, she set up her consulting and coaching business and wrote her first book, Time to Think, published in 1999. The quality of your attention determines the quality of other people’s thinking. You need to listen carefully, take an interest in everything you hear, and be respectful of the ideas, beliefs and values that are embedded. In the coaching context, the questions you ask evoke awareness, so your goal is to shake up entrenched patterns of thinking that can create unwarranted limitations. Speaker and listener deserve equal respect, attention, and time, and must maintain their commitments to one another. This one reminds me of the Losada and Heaphy paper in 2004 that shows (and the methodology has been criticised) that five to one ratio of positive to negative comments drives stronger group performance. Creating time, without a feeling of urgency or hurry. Kline sees urgency as a destructive force. Beyond the positive sense of this work, Kline also means us to engender a collaborative rather than competitive mindset. Letting the speaker express and experience their emotions, to release the speaker from their grip. Drawing out a complete and, as far as possible, reliable statement of reality. Selecting an appropriate physical environment in which we feel fully respected. Differences create opportunities. Diversity adds value. Kline is clearly a master coach, and her organisation offers a range of training. Her book does not only offer a prescription for how to create an environment where people can think more clearly – and therefore solve problems more effectively. It also contains valuable insights of a range of organisational types. Along the way, what I found most useful, were some of the specific questions she suggests asking others… and ourselves. I would put Kline in a category with another asker of insightful questions, Susan Scott. What do we already know now that we are going to find out in a year? Why do you need to learn? What will you do with the knowledge if you do learn? These four excellent questions put us in mind of Bernice McCarthy’s 4MAT System for learning – a model that will help you answer the ‘How will you learn?’ question. But let’s start at the beginning: Why? The true answer to ‘why learn?’ will always be ‘because you can; because it is human nature to; and because learning is a joyous process.’ But I am guessing many readers will be more specifically career-focused. You may be a new manager, perhaps hoping for a promotion, perhaps wanting a new role. 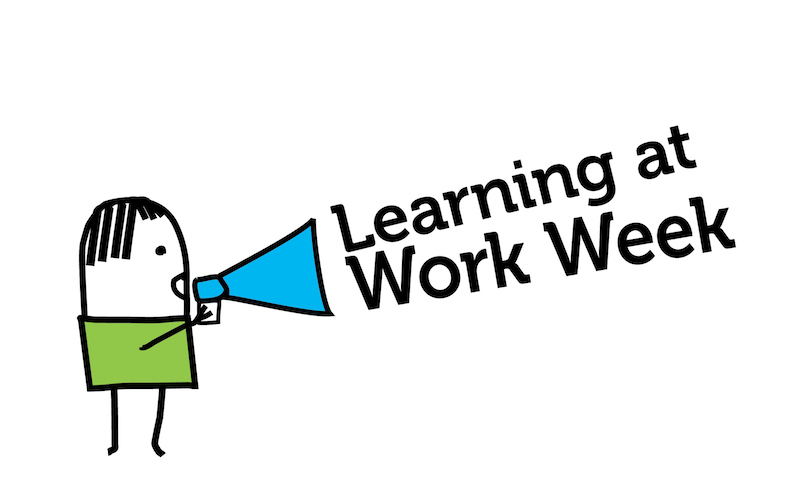 Look at at the previous blog post, Career Development, and then ask yourself: ‘What is my purpose in embarking on job-related learning?’ Write your answers in your notebook. 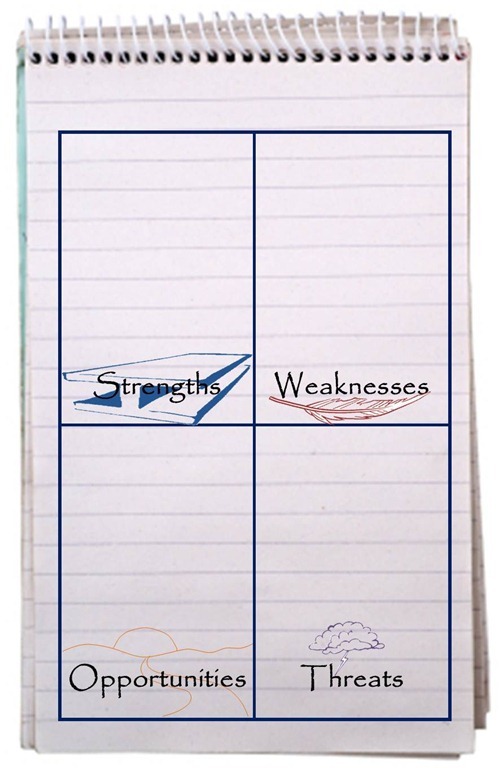 To determine what you most need to learn, conduct a SWOT analysis. 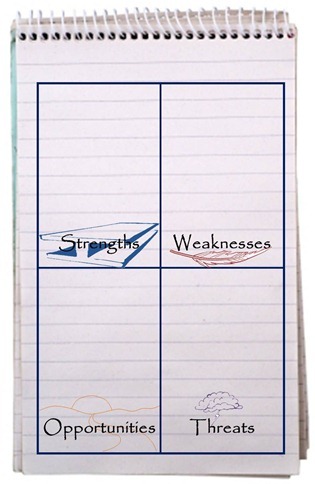 Take a cold critical view of your personal strengths and weaknesses. Then look at the opportunities ahead of you and the threats that may set you back. Compare your strengths and weaknesses with the opportunities and threats and, from that, determine your learning priorities. It seems likely that we all have our preferred learning styles: reading and analysis, experimentation and playing, reflecting on experiences. Think about a time when you learned most easily and comfortably. What were you doing then? This is possibly a good starting point for designing a learning process that will work for you.